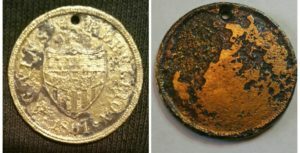 The Civil War soldiers identification disk is probably one of the most elusive relics out there. You probably noticed the spelling of disk versus disc. Yes it is spelled correctly and this likely because back in the day, that is how it was originally spelled. This disk was for Union Soldiers to be identified in case they were killed on the battlefield. Much like the dog tags our current military wears, it made it easier to identify a soldier so they can be returned to their family. Soldier identification disks were usually made of brass and typical examples have an identifying number on the side of them. The Confederate Army had identification discs as well but I have yet to find one. The disks would contain pertinent information about each soldier. This information would include the soldiers name, the company he was with and where he was from. The disk I found has neither as far as I can tell. This information may not be readable due to deterioration, however it is dated 1861 . This Civil War soldiers identification disk is a huge piece for my collection and ranks in my top five of all time finds. I am fairly certain in saying it would make anyone’s collection, whether in the collection of a treasure hunter or a civil war enthusiast . I keep it in a coin holder to protect it as much as possible. By the way, I stock coin holders so if you are looking for them, you can buy from my website by following this link. The holders I carry have pop out foam inserts for various coin sizes. I searched long and hard for these specific adjustable diameter coin holders. Please feel free to check them out, I don’t make a lot on them but wanted to share that I found some really good ones for my posse. 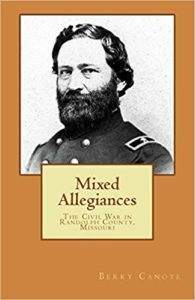 It is also well known that the Civil War was triggered by the border wars and Missouri skirmishes . It is also well known that Jesse James was in the area and somewhere in the middle of it all. I am not saying Jesse was responsible for my new relic coming into my possession. I am just saying the thought of that possibility is a great fantasy. One can only speculate as to journey of this Civil War soldiers identification disk. I know for a fact that I dug it in a back yard in northern Missouri. My XP Deus metal detector sounded off with a great tone and a matching number. Watch the video and see how it was discovered. Please sign up for the newsletter if you like everything I am doing through here and MDoA. I am honestly do my damndist to create interesting content and offer you guys information about detecting, metal detector settings and techniques. Please also don’t forget to subscribe to our YouTube channel while we are on the subject of support. By the way, we are in the process of upgrading our video capability and will soon be offering some great new videos. We hope you will all share in and learn from our Epic Adventure experiences. 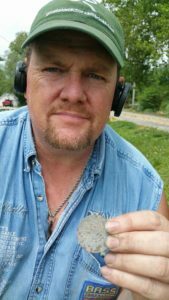 We have also included various links to stuff we think is cool for to those interested in relics, the civil war and metal detecting. By visiting these links you further help support our efforts to share our experiences, do giveaways and promote metal detecting. So thank you all for your support, we truly appreciate you all. This entry was posted in Metal Detecting Information. Bookmark the permalink.